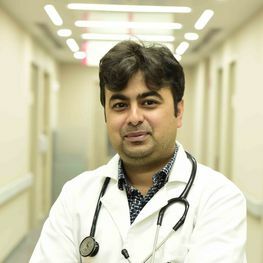 Dr. Saurabh Khanna brings over 10 years of experience and has worked with Jaipur Golden Hospital and Fortis Shalimar Bagh, Delhi. He holds a Diploma in Child Health from King George’s Medical College, Lucknow and a DNB in Pediatrics from Jaipur Golden Hospital, Delhi. He has had a formal training in neonatology under Indian Academy of Pediatrics (IAP) fellowship program. His expertise is in managing critically sick neonates, neonatal emergencies and OPD issues.